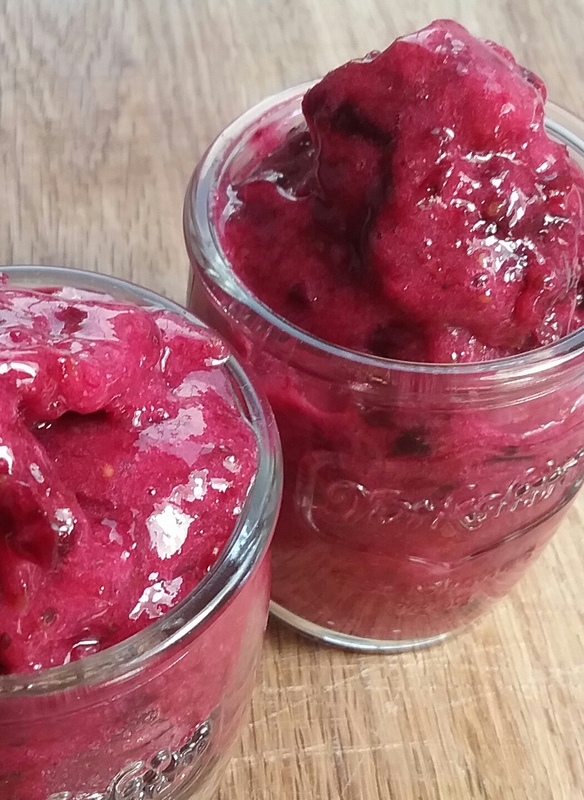 Blackcurrant ‘nice cream’ (gluten and dairy free) | Jo's food bites. Last years crop of blackcurrants are still in the freezer and my blackcurrant bushes are laden with ripening fruit. So operation empty the freezer is taking place! This dish is a great way to use up the pitiful looking bananas that look at the bottom of the fruitbowl – turning brown. Put some frozen blackcurrants in to a blender (needs strong blades) / or food processor.I rinse the blackcurrants to remove any excess ice. Then I switch the settings to ‘desert’ and blend until all the banana is incorporated. I then spoon it into a plastic container and pop it in the freezer.